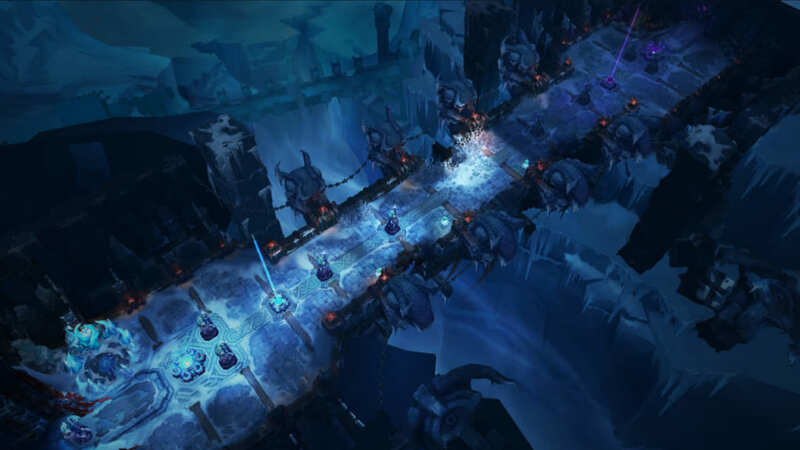 The Howling Abyss is the exclusive ARAM (All Random, All Mid) map of League of Legends. It is one of the more popular game modes, pitting two 5-man teams against one another in a single lane where the goal is to destroy the opposing Nexus. 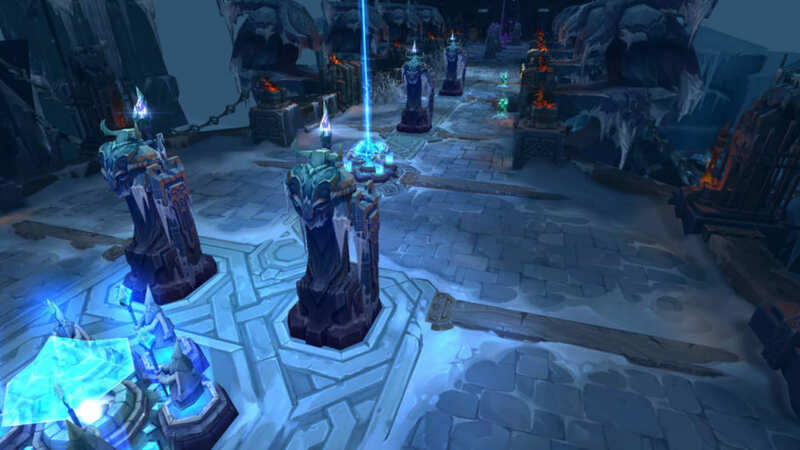 Originally called The Proving Grounds, the single-lane map was created for players who want the get the same MOBA game-feel at a faster pace than their conventional map, Summoner’s Rift, usually provides. Proving Grounds was changed to the Howling Abyss to coincide with the Frejlord event. The updated graphics, terrain and aesthetics rework proved to be a hit to players, and it has become one of the staple modes for those who want to go toe-to-toe with the opposition in very fast team fights and clashes. The Howling Abyss comprises of one lane where the two teams will wage war. Their objective – destroy the enemy Nexus. Each player is given a champion at the character select screen at random and starts immediately at level 3 and can designate up to three skills (except for Azir who starts with one point at his Arise! skill and two free points to spare). There are only four turrets that protect each team’s Nexus – two inner turrets and two outer turrets. Each team also has to defend a single inhibitor, lest they want enemy super minions to spawn and march on and destroy their Nexus. Here is where The Howling Abyss gets its more popular nickname, “The Murder Bridge” – champions can only buy items when at the beginning of the game and when they are killed. This compels players to become more offensive-minded. Healing and defensive tactics are not that welcome here – in order to get ahead, you have to kill and be killed. Recalling back to the spawning point won’t heal your health and mana, but there are special health relics that spawn at the sides of the lane at specific intervals that players can consume to help them replenish a small amount of health and mana for a short duration. Each Howling Abyss game usually lasts around 20-30 minutes, which is faster than a normal game at Summoner’s Rift. It is also a place where you play champions you don’t really use in the normal game mode and lets you worry less about the other factors on a normal game such as last hitting and ganks. Truly, the Howling Abyss is a great game mode available to players when they want to let loose and just play for the kills.